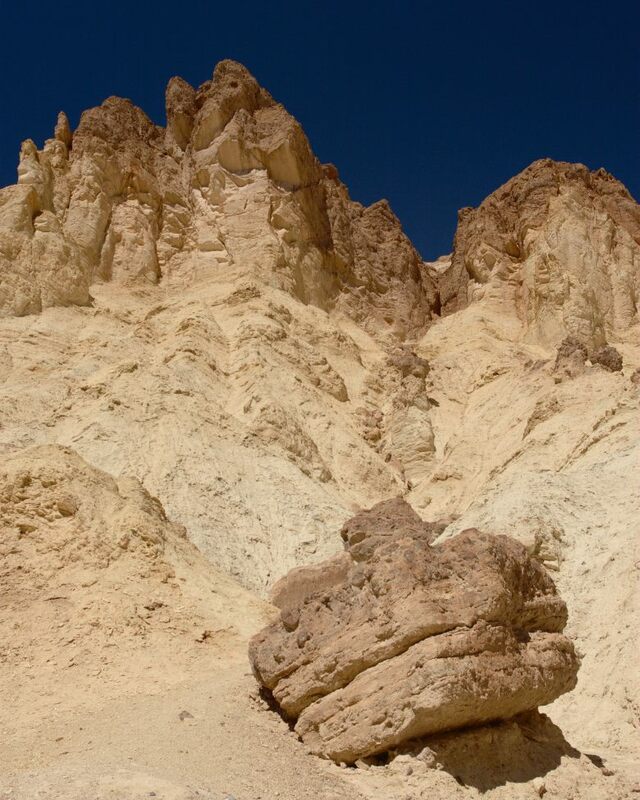 I've been to some places already, but I never felt as cut off from the world as in the Golden Canyon in Death Valley. Hiking in that place feels surreal! Escaping dazzling rocks in full sunshine by squeezing the eyes, and wiping the sweat running down the forehead, arms and neck because of the heat, one's ears feel useless and deaf as the entire place is plunged in absolute silence.